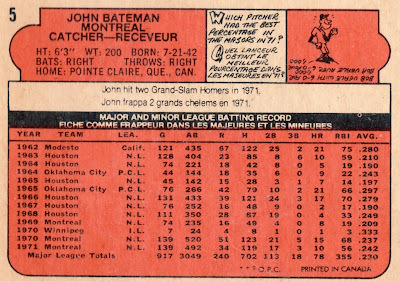 Card backs include French translations of player bios, stats, and even cartoons, which Canadian law mandated on printed materials starting in 1970. This also taught English-speaking fans a whole pantheon of new phrases like grands chelems (grand slam) and fiche comme frappeur (batting record). 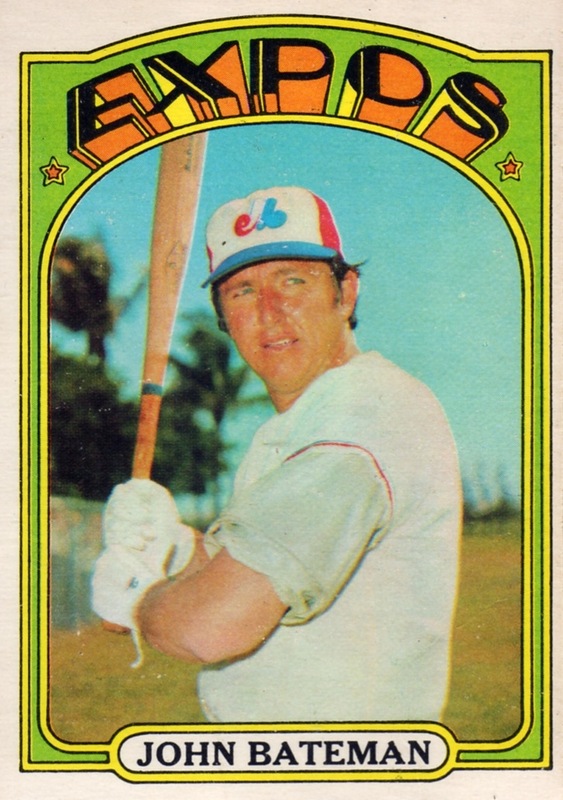 One B-R submitter said he's never failed in linking a player to Ruth, though it can take dozens of in-betweens. 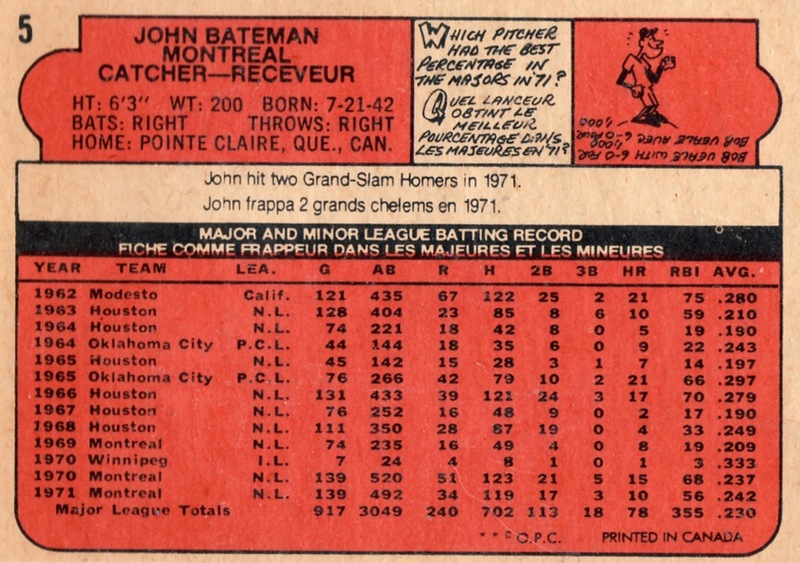 Unfortunately, medium-power, low-average catchers like Bateman seem to be their own world and it's tough to break out to other, higher-performing positions. (I reached the underrated 60s backstop John Romano quickly, but stalled out getting any closer.) Have you successfully linked a favorite player to the Babe? Fakes / reprints: Haven't seen any OPC reprints in the marketplace. Winners from "Teams of Christmas Past" giveaway! Poll wrap-up: Would you pick up this card? Poll: Would you pick up this card?